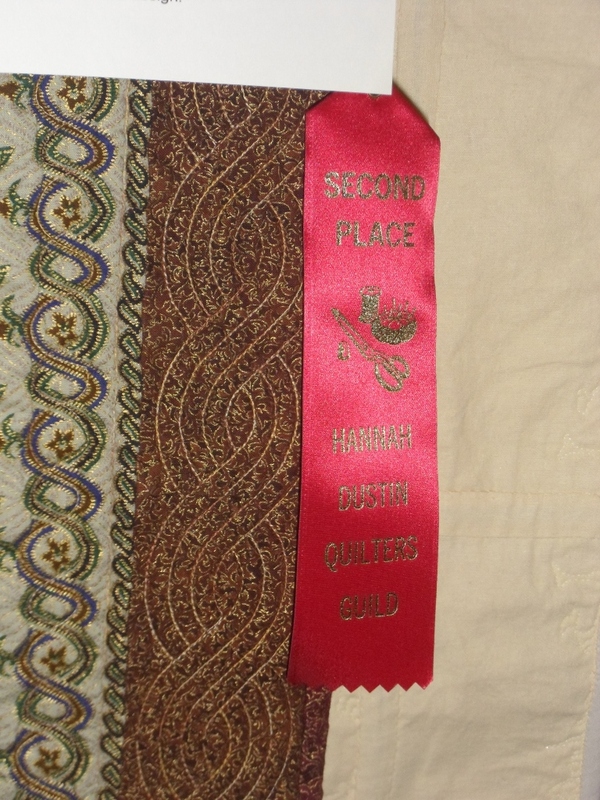 Thread: Lady Guinevere's Quilt Won 2nd Place! 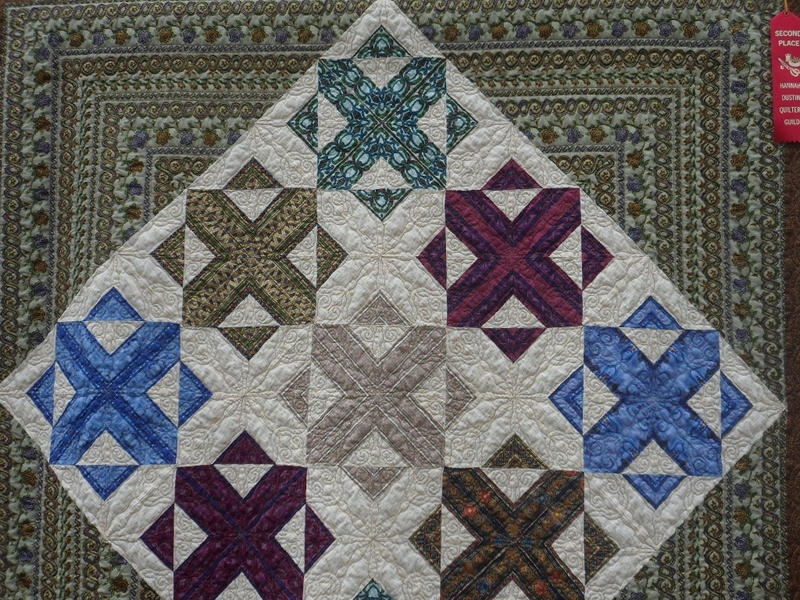 I entered three quilts into the Hannah Dustin Quilt Guild's Annual show this year. I have been a visitor of the show for about 10 years now, but just changed my work schedule this year and joined the guild. Out of the three quilts I entered, I only opted to have one judged. 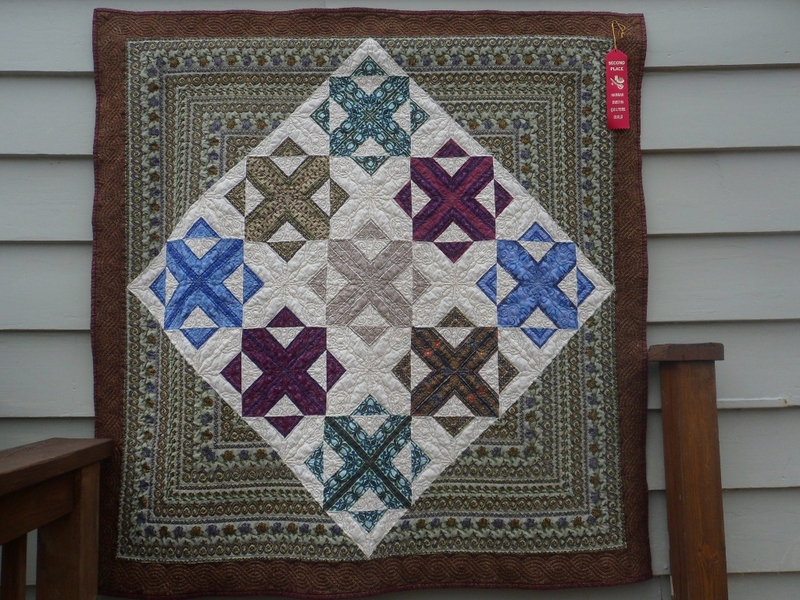 Very pleased and surprised to see that the judged quilt that I named "Lady Guinevere's Quilt" won 2nd place for medium sized quilts. That is such a beautiful quilt! Congrats winning 2 nd place! What an honor! Congrats JenniePenny. Nice to see your original design and impeccable workmanship properly acknowledged. Very well deserved. WOW...this is really lovely. Congratulations! 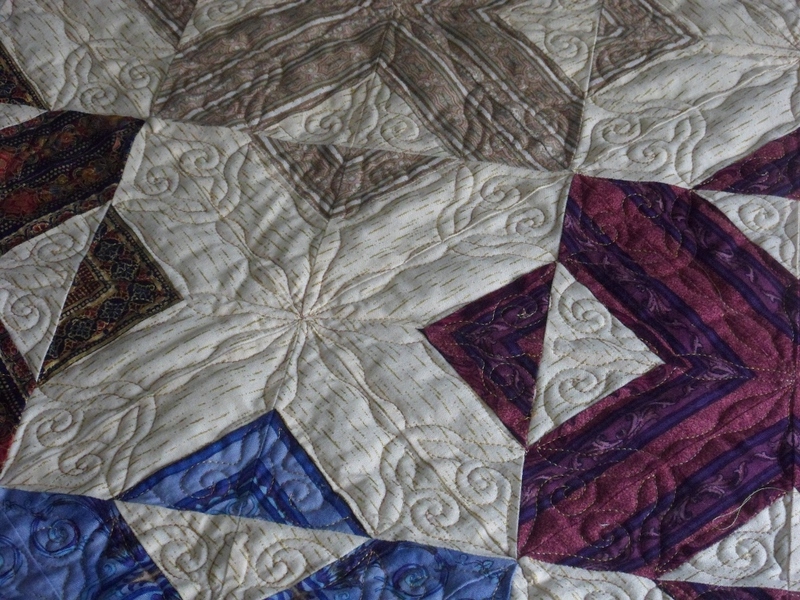 Beautiful quilt -- your mitered corners are outstanding! So glad you got a ribbon, it is well deserved! Wonderful quilt. You did very nice work. Congratulations on your win. congratulations on your win. Would like to see what beat you out. It's a pretty quilt and unusual, too. I like that in a quilt! A quilt well done. love your fabricand choice of colors. Yay for you....It is a beautiful quilt you should be proud. Congratulations! That's a beautiful quilt, with very clever and effective use of fabrics. Beautiful quilt and Congratulations on the ribbon. Well deserved. Lovely quilt! Congrats and well deserved. Wow, wow, wow, holy moly!!! Absolutely stunning! Well deserved!! Nicely done Congrats!!! Yes, your mitered corners are beautifully done!!! Congratulations! The quilts and quilting are wonderful and your award is well deserved!